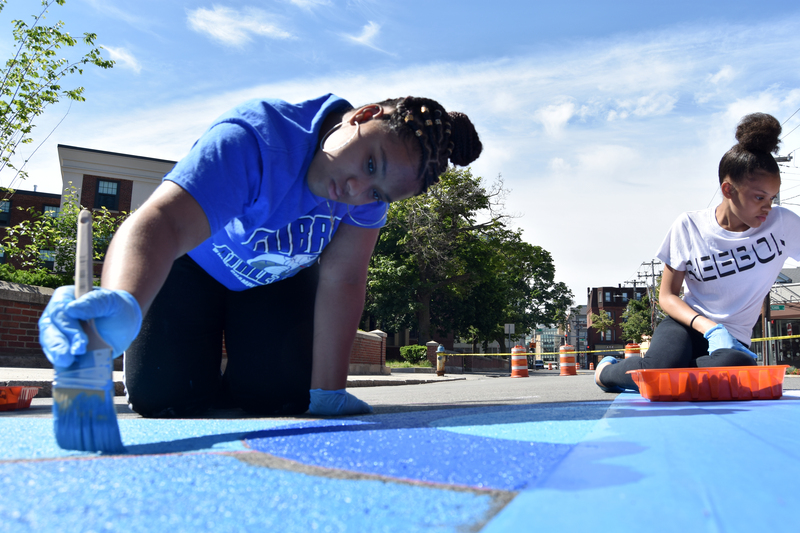 Photos of the creation and celebration of the Community Arts Center's "Home Port" mural on Windsor Street in Cambridge during June 2018. Painting Community Art Center’s “Home Port” mural on Windsor Street, Cambridge, June 10, 2018. Community Art Center’s Home Port mural on Windsor Street, Cambridge, June 15, 2018. Painting during the Community Art Center’s Port Arts Festival in Cambridge, June 15, 2018. Dancing during the Community Art Center’s Port Arts Festival in Cambridge, June 15, 2018. Adding to the Community Art Center’s “Home Port” mural on Windsor Street, Cambridge, during the Port Arts Festival, June 15, 2018. Dancing during the Community Art Center’s Port Arts Festival, June 15, 2018. Making art during the Community Art Center’s Port Arts Festival, June 15, 2018. Making prints during the Community Art Center’s Port Arts Festival in Cambridge, June 15, 2018. 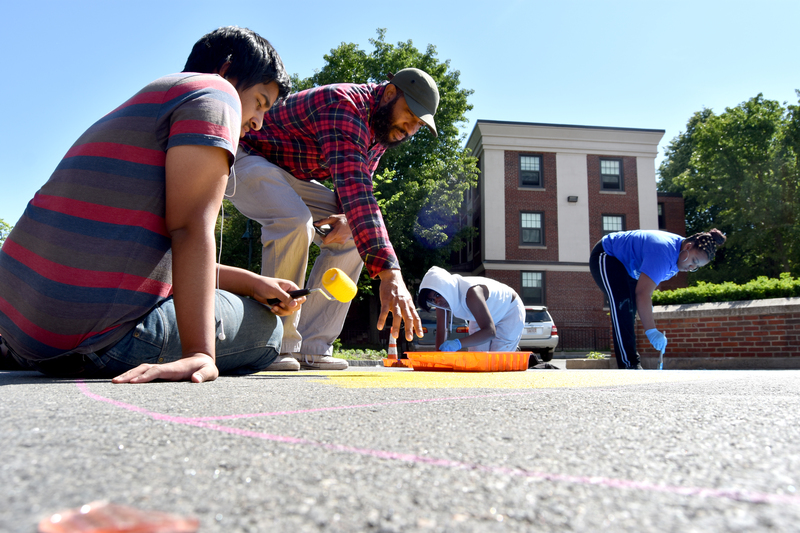 Lamar Atkins of Yurp Nation paints on the street during the Community Art Center’s Port Arts Festival in Cambridge, June 15, 2018.